How are you going on this lovely day? Today I'm playing along with Global Design Project's Case the Designer Challenge - it's the beautiful & amazing crafting genius, Steffi Helmschrott! 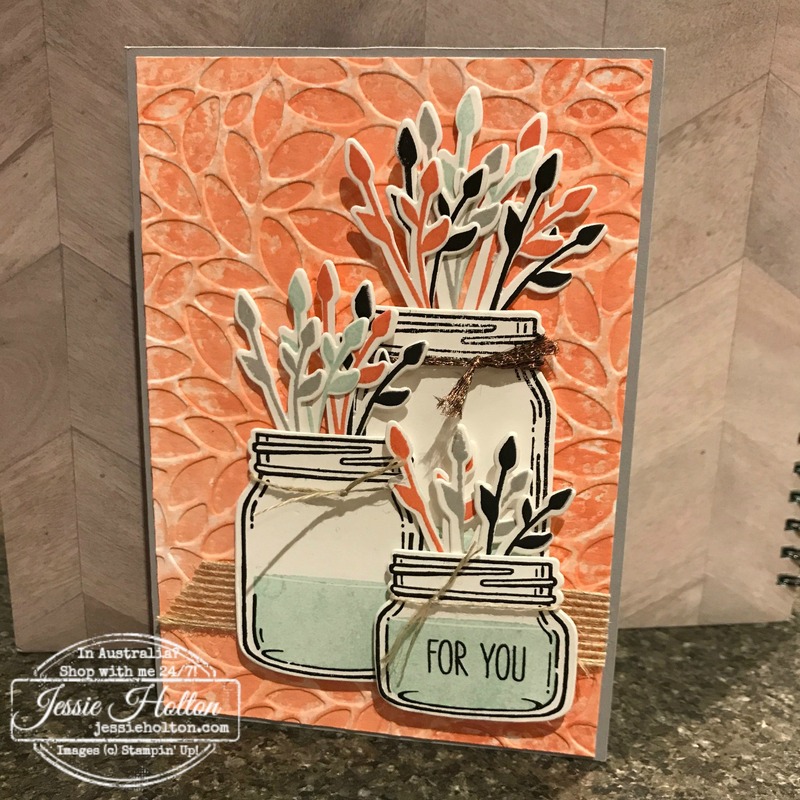 The card that she has made for the challenge features the Jar of Love stamp set & I just love that set, so I have used that for my card, too! I have kept my colours really simple, just using Basic Black, Smoky Slate, Calypso Coral & Pool Party. I have inked up the Petal Burst Embossing Folder & spritzed then used Shimmery White & taken it for a roll through my Big Shot for the background. I've also added some Burlap Ribbon, Linen Thread & Copper Trim & a Smoky Slate card base. 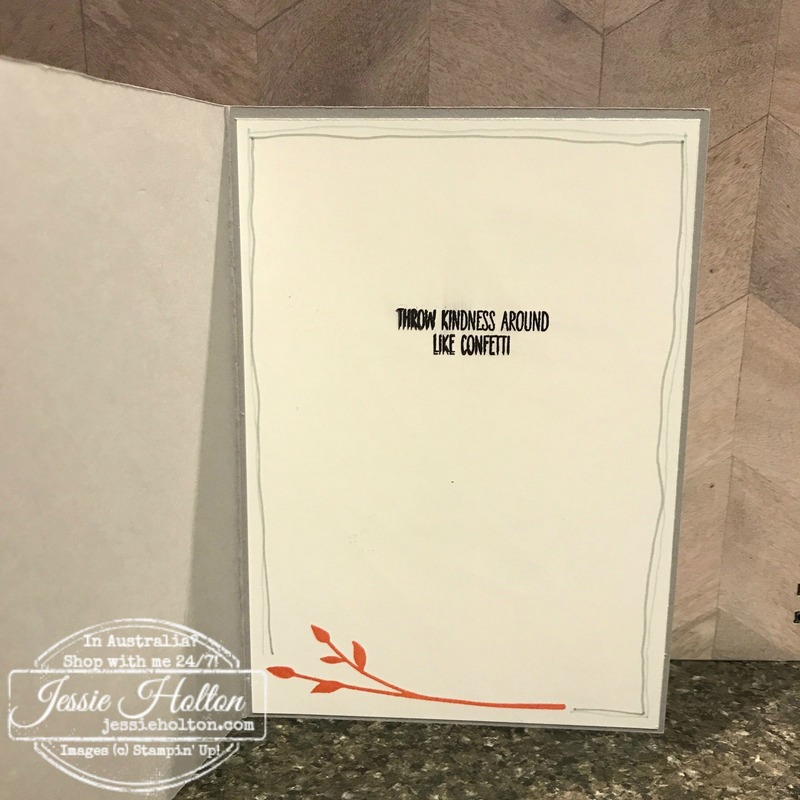 This is another inside I've done where I've drawn the border on the inside with my Stampin Write Markers. I just love this handmade look & my I love using my Markers! You can also use the Markers to write in the cards with coordinating colors to match your card front or flick colour across the your cards for the beautiful splatter look. You can buy the Markers in the colour families or in the Many Marvelous Markers Box which has all the brights, subtles, regals & neutrals included & room for the InColour sets to fit, too.